We are surrounded by relationships. The trouble is that relationships can be difficult to maintain and grow because we are human. Being human means that we come into relationships looking primarily to get what we can OUT of the relationship rather that what we can invest IN the other person through that relationship. This month, we're exploring three crucial tools that will help you grow deeper relationships: Love, Respect, and Hope. We have four services each week to best fit your schedule: Saturdays at 5pm and Sundays at 8am, 9:30 and 11am. All services have a time of worship and the same message. If you have children, they will enjoy participating in our children's ministries. Click the image to find out more information. 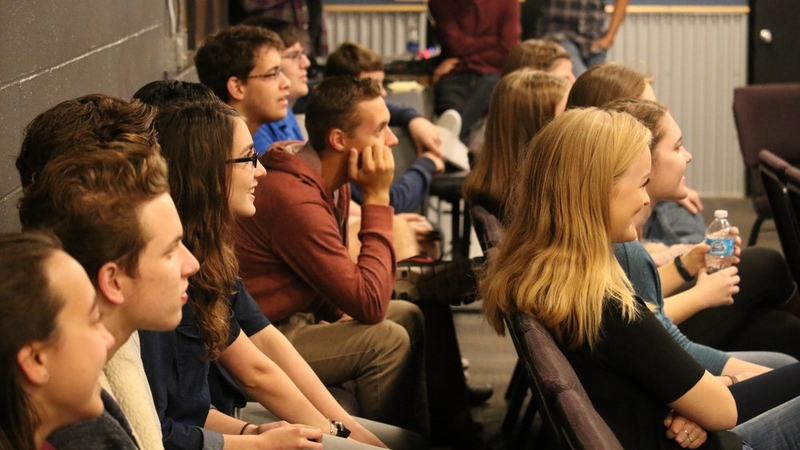 Our student ministries are geared toward students in Middle School, High School and College. Click the image above to find out what they have to offer. We want to encourage you to come and connect with us. Click the image to plan you first visit and to find out more information!